Long before I ever set foot in a Radio Shack there was a small chain of stores in the New York metro area called Electronic City. They were dark, musty places with an entry way and a counter and guys in plaid shirts who wanted to know, very quickly, what the hell you wanted. A resistor, a capacitor, a switch, a battery, whatever, you had to pretty well damned know what you wanted because they’d have to retreat to the back room to find it for you. Then I discovered my first Radio Shack some time in the early 1970’s. They were bright. You could browse. Oh, the nerdy salespeople might hover a bit and were almost too anxious to help you but they were fine. The only counter was the long glass one where you paid and might see little electronic games displayed that made it possible to play poker or Blackjack against yourself. Calculators were still new and quite expensive and soon they became available at Radio Shack. When I had a science project that was my go-to place. I simply brought my list of parts and the salesperson cheerfully scrounged up every last switch and circuit board. Sometimes they were just a little too cheerful and if you needed a D battery, they might show you 5 different brands and want to explain the advantages and disadvantages of all of them. Honestly, I just needed a battery that would put the light in my flashlight. Radio Shack always stayed about the same, even when it started selling mobile phones and computers but eventually seemed provincial in the face of big box stores and online commerce. I haven’t been in one in years, and I know that’s part of what killed the chain. But it’s a bit sad to know when you need a crazy part, a connector, a cable, there won’t be a nerdy guy and convenient place to go. Yes, I can order the stuff online, but sometimes you just don’t want to. Sometimes you just want the security of in-person handholding, and a place to buy a battery-powered toy you can try to beat at Texas Hold ‘em. 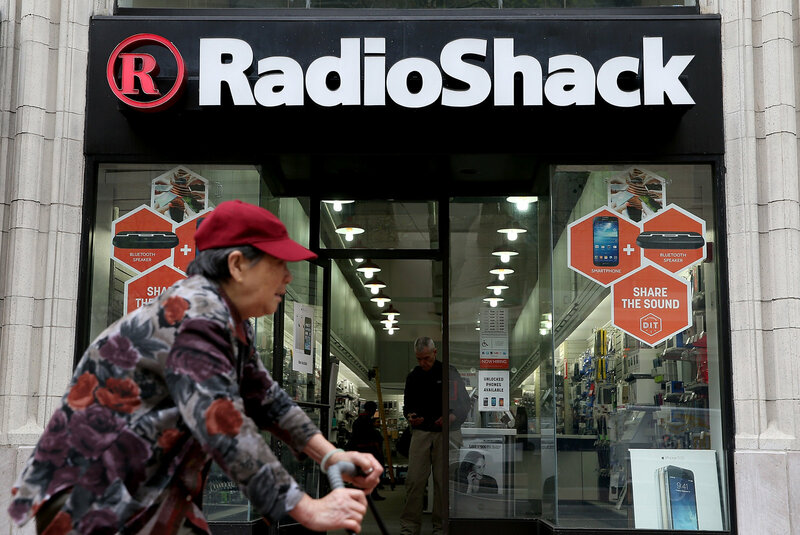 RIP Radio Shack. In your memory I promise never to invoke the words of Harry Hawkins.